AFAC, Deutsche Messe and Bushfire and Natural Hazards CRC are delighted to bring you AFAC18 powered by INTERSCHUTZ, returning to Perth, WA for the first time in six years. AFAC18 will be held from Wednesday 5 – Saturday 8 September 2018 at the Perth Convention and Exhibition Centre. Over 3,200 attendees enjoyed AFAC17 in Sydney. You can view the AFAC17 Review here. Key features include the: AFAC18 Conference Bushfire and Natural Hazards CRC Research Forum INTERSCHUTZ trade exhibition, featuring the Expo Stage & Demonstrations AFAC18 Gala Dinner Professional Development Program The 2018 conference theme is “Changing lives in a changing world“. Australasia’s leading emergency management conference, AFAC18 powered by INTERSCHUTZ, returns to Western Australia for the first time in six years, bringing a host of leading international and Australian presenters, to address the latest technology and research in prescribed burning, predictive services, innovation, improving public safety, warnings, and resilience. Co-produced by the Australasian Fire and Emergency Service Authorities Council (AFAC), the Bushfire and Natural Hazards Cooperative Research Centre (CRC) and Deutsche Messe; the conference is focused around preparing the sector to combat and adapt to changing environments. Held over four action-packed days from 5 - 8 September, the conference themed ‘Changing lives in a changing world’ embraces an interoperability between emergency service agencies. AFAC18 includes the Bushfire and Natural Hazards CRC Research Forum, a two-day multi-streamed AFAC Conference, and the inaugural Australian Disaster Resilience Conference. Stuart Ellis, CEO, AFAC, commented on this year’s conference and the importance of adapting and being resilient in our ever changing environment. “AFAC18 is the premier and most comprehensive emergency management conference in the region, providing unique opportunities for professional development, learning and networking. This year the inaugural Australian Disaster Resilience Conference runs concurrently and adds an in-depth look into how we are contributing to a disaster resilient Australia. “We’ve got an impressive line-up of speakers for AFAC18, who can share their unique experiences tackling the challenges of change. We are pleased to be back on the west coast this year, where we are able to offer development opportunities for all members across our sector,” said Mr Ellis. Dr Richard Thornton, CEO, Bushfire and Natural Hazards CRC, commented on how research is helping emergency responders face challenges. “The strength of the CRC lays with its collective nature. The Research Forum is a full day of knowledge sharing and research and will address the major changes our sector faces, from growing populations and climate change, including bushfires, floods, cyclones, storms and heatwaves. It is vital that emergency management personnel know how to adapt and cope with these increasing challenges,” said Dr Thornton. AFAC18 looks at change as the new normal, discussing how collaboration and resilience is driving performance and the innovations in emergency management that are helping our people endure changes in the environment. AFAC18 powered by INTERSHUTZ is being held at the Perth Convention and Exhibition Centre from 5-8 September 2018. All images can be found on the AFAC Flickr page and can be used royalty free. Emergency management is not an easy task and is not getting easier. With a growing population moving into new areas, our changing climate, bushfires, floods, cyclones, storms and heatwaves are impacting our lives in new ways. Innovating in the face of disruptions and developing our people to successfully manage organisations of the future is a key challenge. AFAC18 looks at change as the new normal, how collaboration and resilience is driving performance and the innovations in emergency management that are helping our people to weather change. 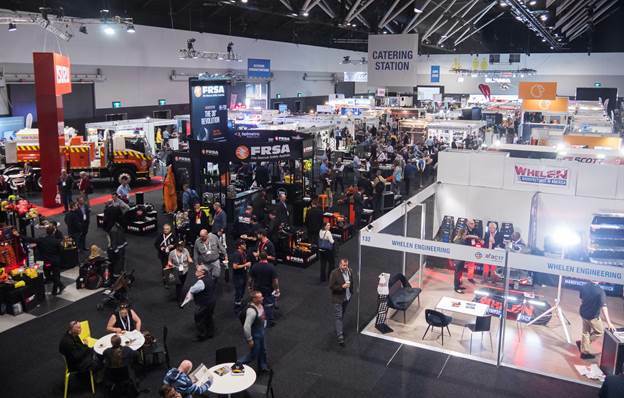 Held over four action-packed days AFAC18 powered by INTERSCHUTZ will attract delegates and visitors from emergency and security services agencies, all levels of government, non-government organisations, research and education institutions from Australia and world-wide. The AFAC18 program is co-produced by the Australasian Fire and Emergency Service Authorities Council (AFAC) and the Bushfire and Natural Hazards CRC and will this year feature the inaugural Australian Disaster Resilience Conference, which will run concurrently with the AFAC18 program. 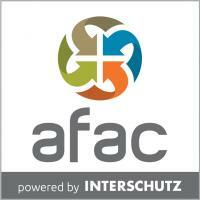 AFAC18 powered by INTERSCHUTZ is a joint venture between AFAC and Deutsche Messe, trading in Australia as Hannover Fairs Pty Ltd.